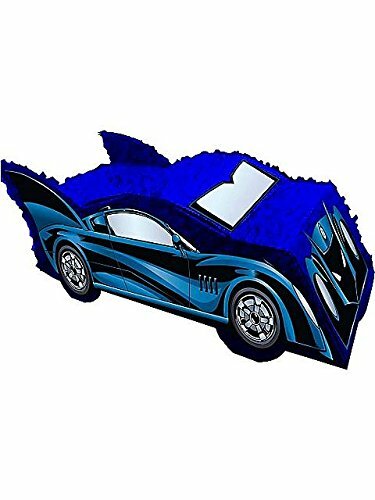 The Batman 3D Pinata is shaped, colored, and detailed to look like Batman’s Batmobile. Perfect for your batman party. This cool pinata measures 9.5 inches high by 10 inches wide by 2 inches deep. You can be sure your little superhero fan will love it.